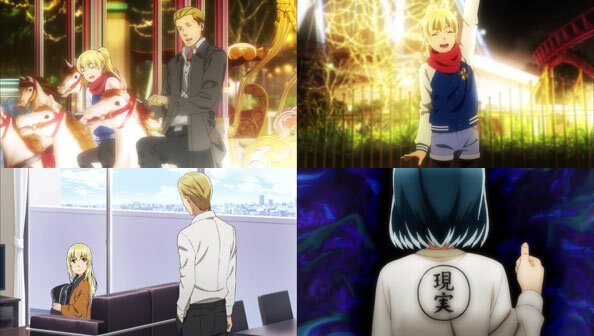 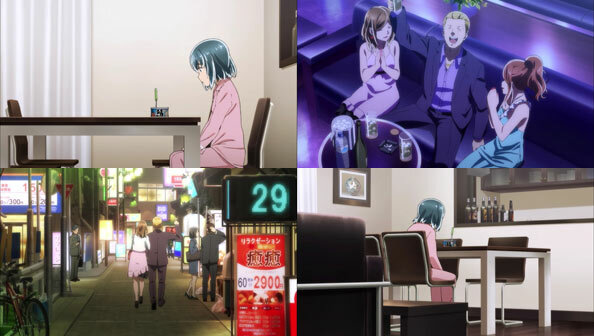 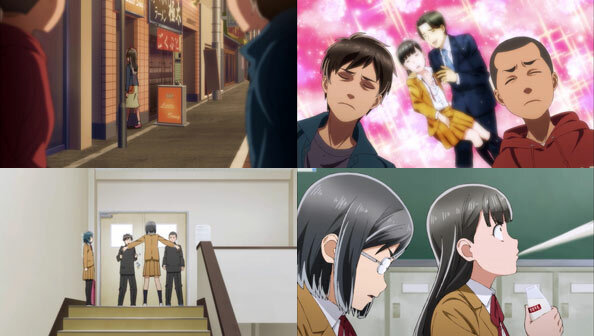 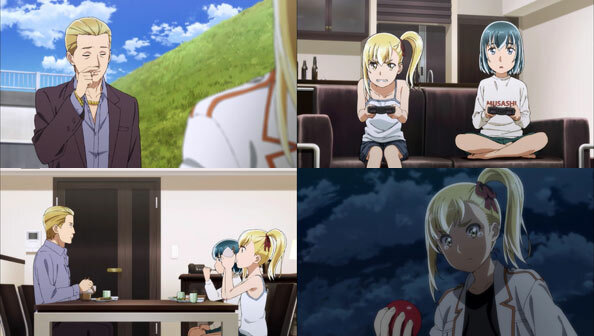 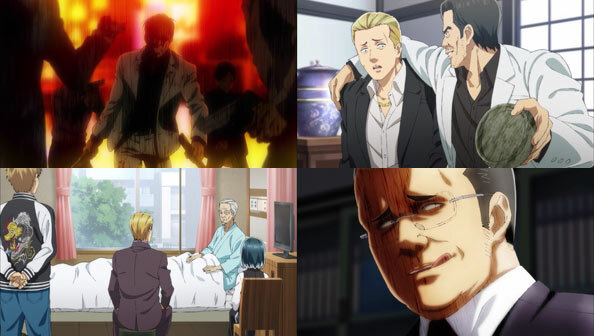 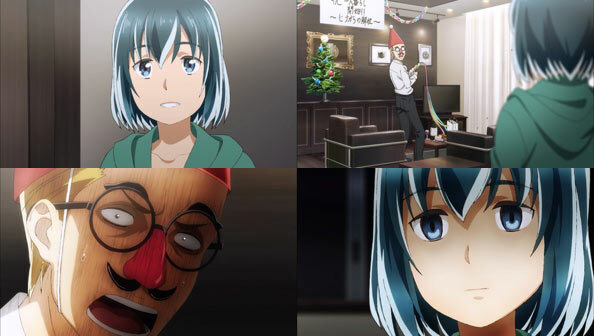 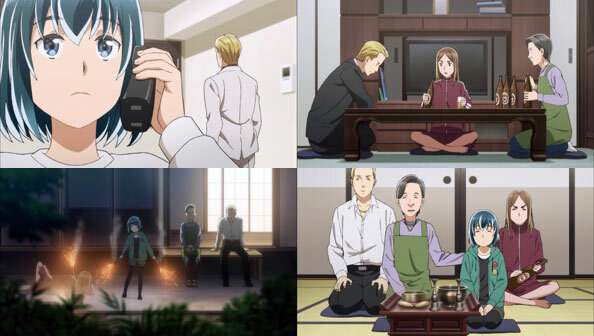 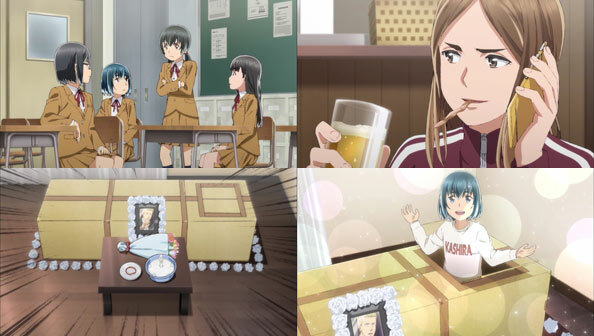 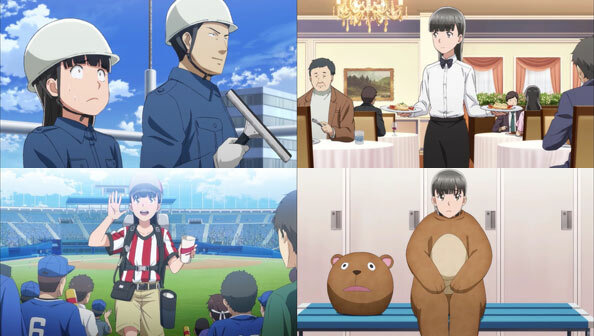 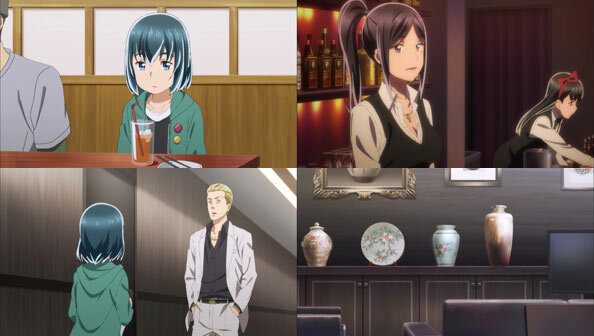 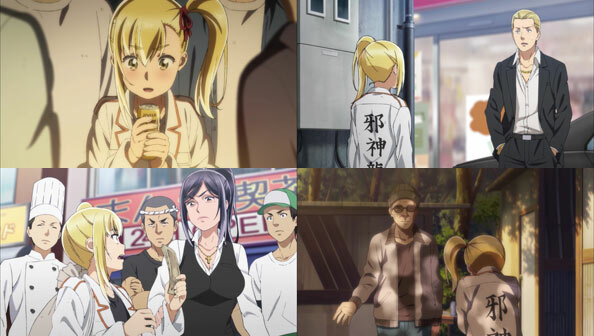 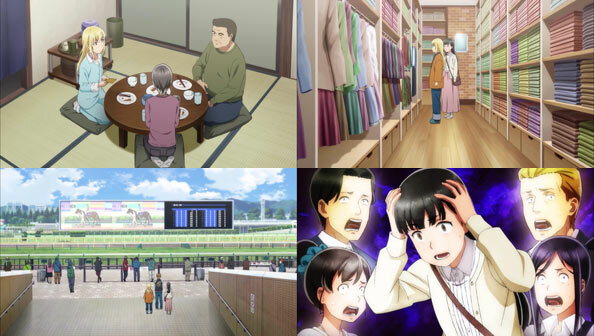 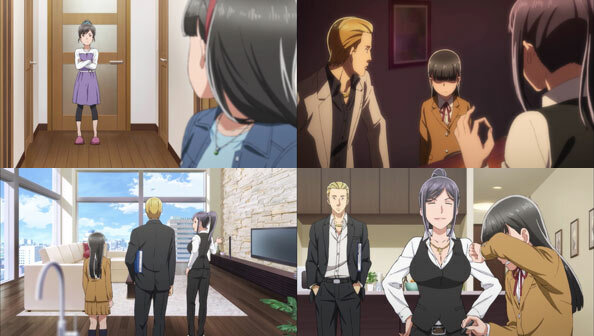 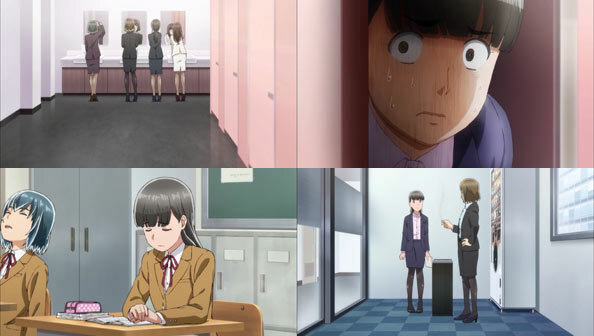 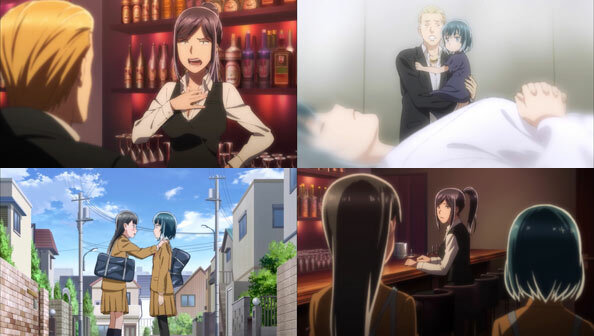 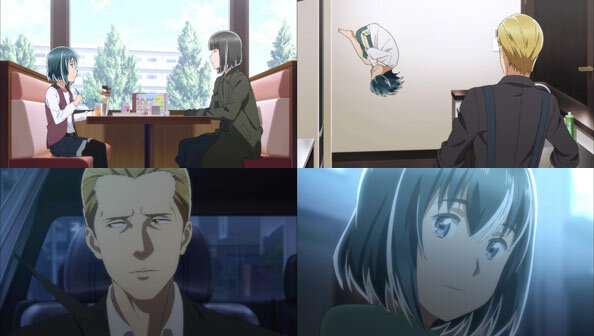 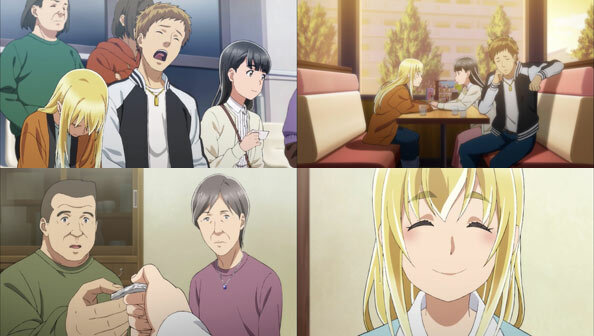 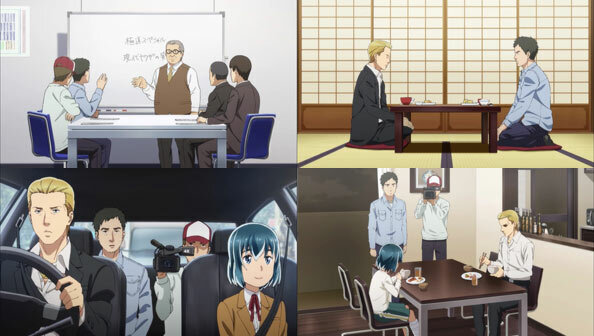 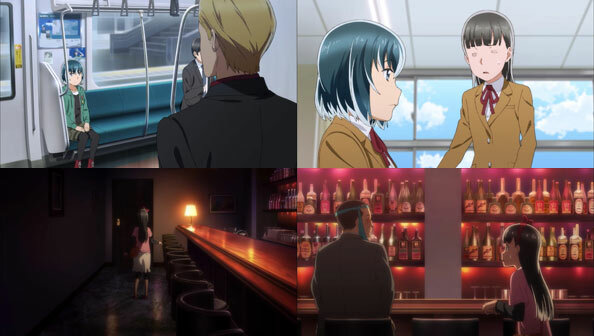 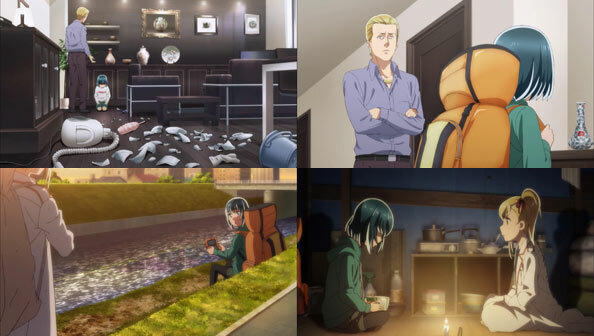 Hinamatsuri ends on a hell of a high note, with two stories that while not very closely connected to one another, nevertheless ruled so hard. 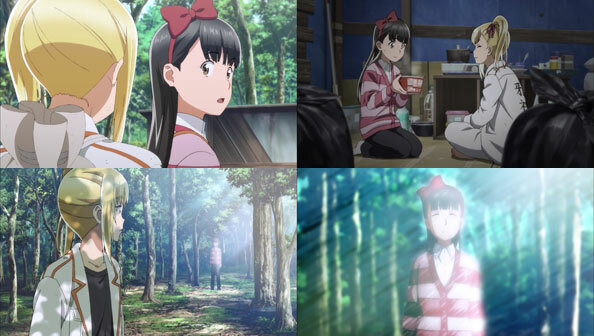 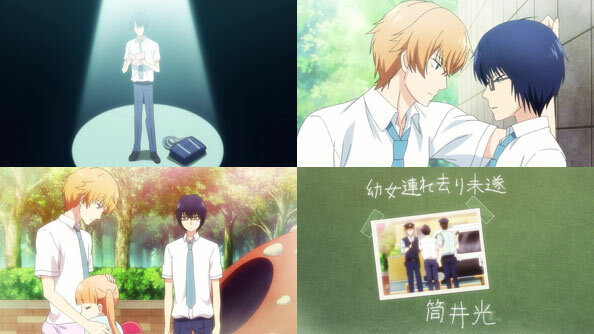 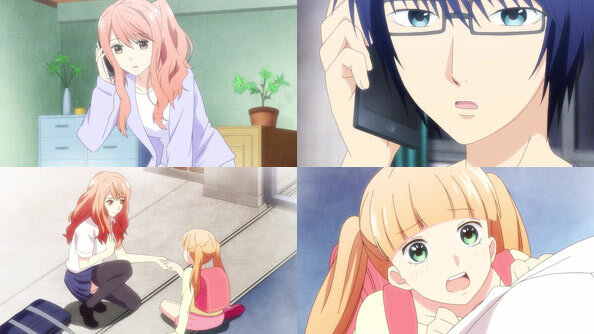 We pick up on Hina, Hitomi, and their two male classmates’ predicament of being lost in the snowy mountains. 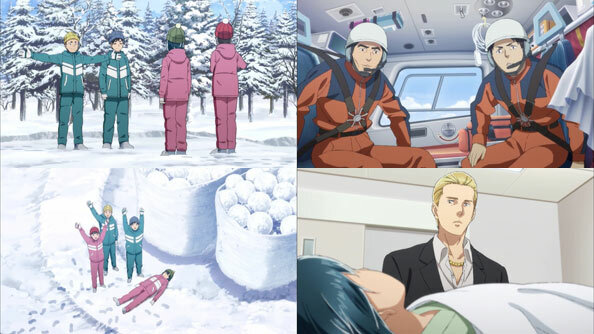 With Hitomi in charge, they soon have an igloo built, but unless they get help, they could die up there. 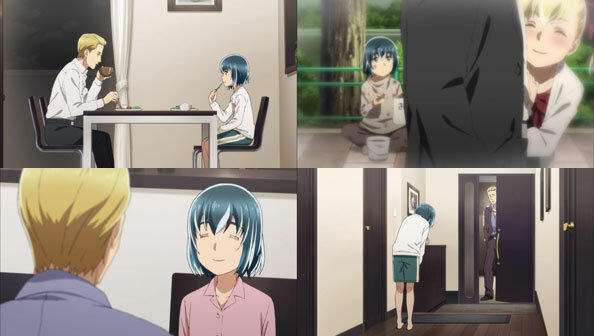 Hina takes a rather casual view of their sitch (the “snow big deal” being a pun she seems particularly proud of)…until they tell her there’s no food. 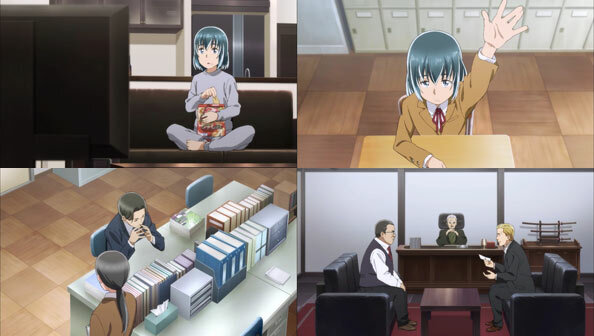 Right then and there, Hina decides that this is one of those times when her telekinetic powers will be needed, and commits to finding a way to get fed rescued. 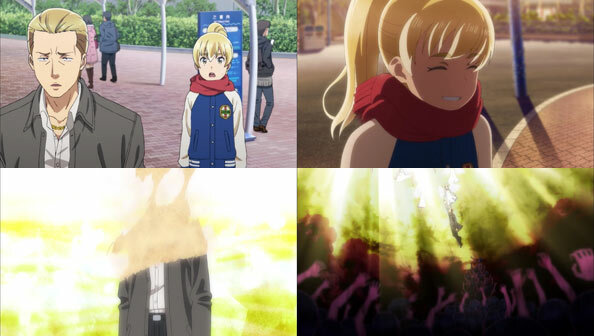 She goes out to fly around and finds a light, but when she tells the others her secret, they think the cold has gotten to her. 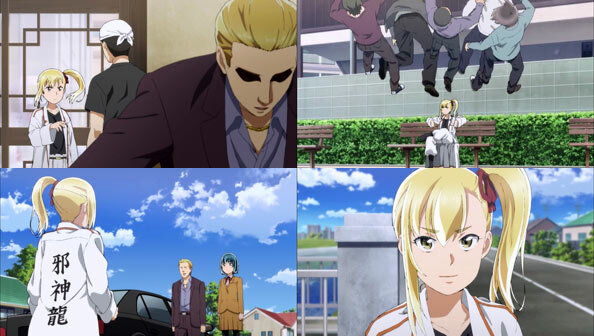 She eliminates all doubt by floating before them, then making Hitomi float. 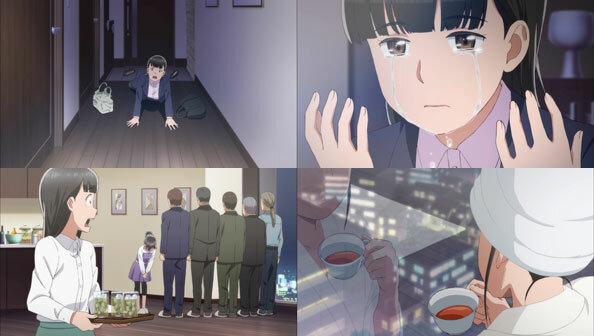 The kids take this well, most likely because in as dire a situation as they are, she’s their only hope, and, well, she’s not crazy, her powers are real. 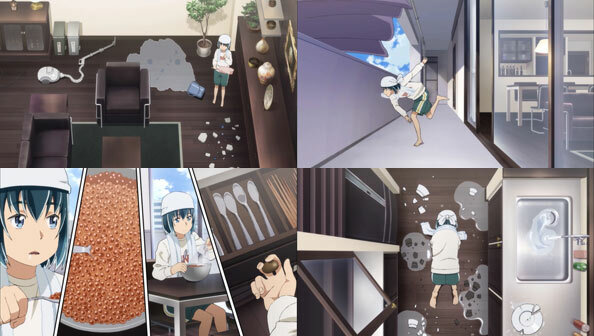 After they try to recharge her powers by attempting to create the illusion of being in a cafe that serves ikura rolls, she makes a giant one out of snow. 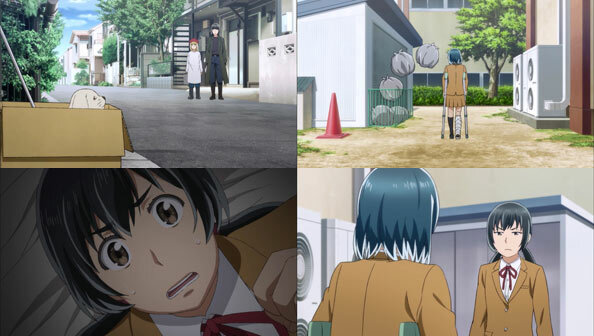 A rescue helicopter easily spots the sculpture, and is extremely confused by it, but not so confused they crash! 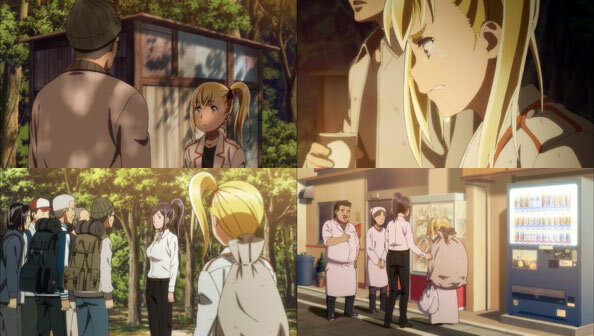 Hina and the others are picked up, and the next we see her, she’s safe in a hospital bed with a very relieved Nitta by her side. 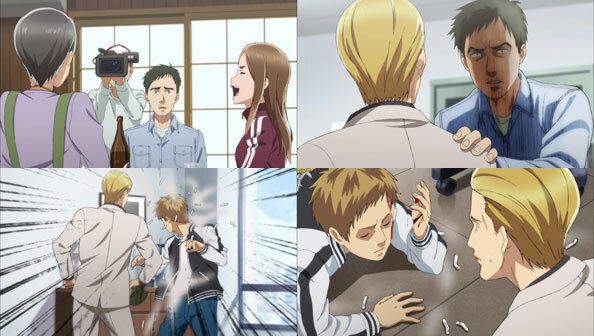 His nonchalance to the phone call about Hina was just putting on a tough-guy act; he really does care about her. 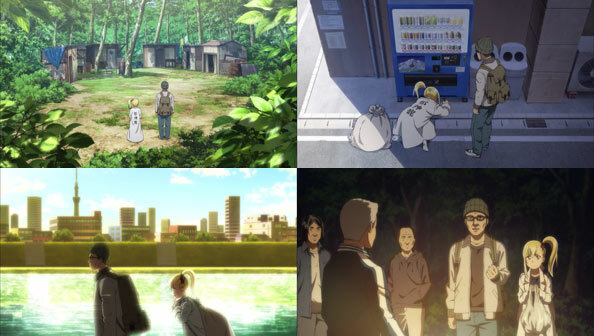 After that, and a montage of everyone in the city going on with their lives, we jump three years into the future and across the western sea to China, where Mao has lived and trained with a martial arts school. 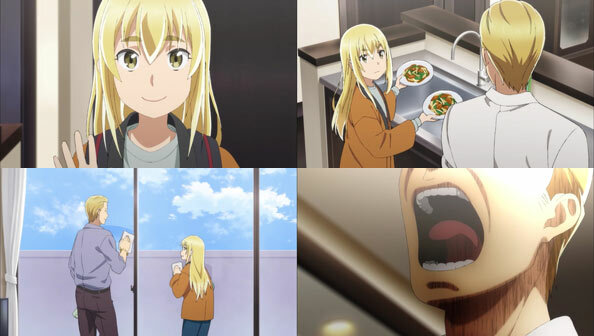 When she first arrived by raft, she scrapped together a living on the streets much as Anzu did, until taken in by the martial arts school’s master. 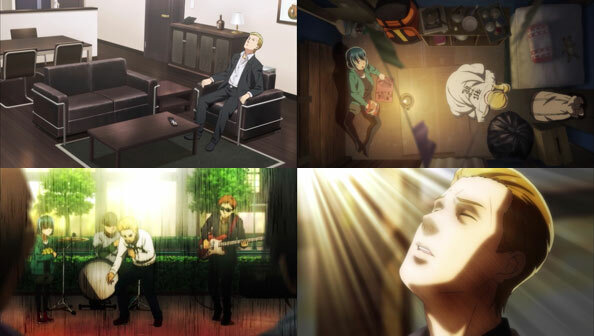 The rockstar dude who Hina once performed saw Mao’s feats of telekinesis on YouTube and has come along with many others to “learn the secrets”, even if it’s just a sham to sell regular old martial arts training. 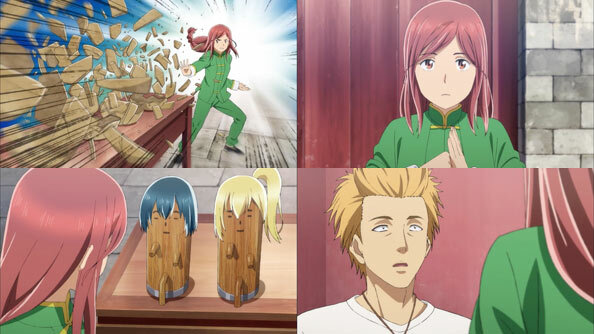 Mao is also still talking to handmade dolls representing Hina and Anzu. 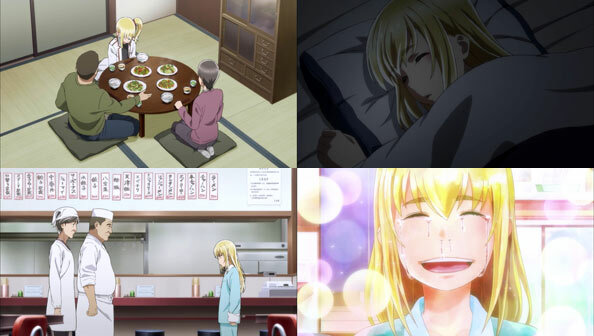 Just when she was getting restless living such a regimented life as the golden goose for opportunist martial artists. 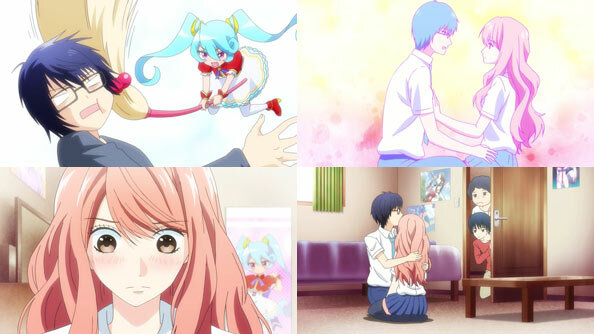 Rocky reveals that he knows Hina, the girl with the same blue hair as her doll. 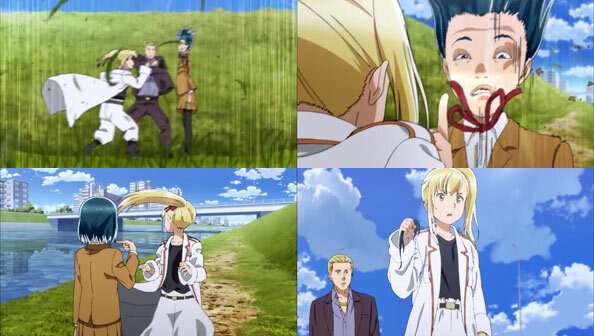 Mao is overjoyed she finally has a lead. 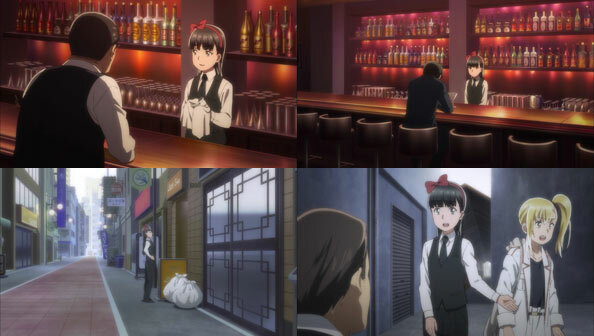 Her handlers don’t want her going anywhere, however, so they chase her into the street and attempt to apprehend her. 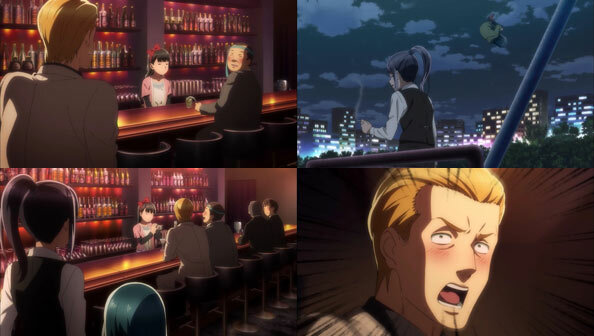 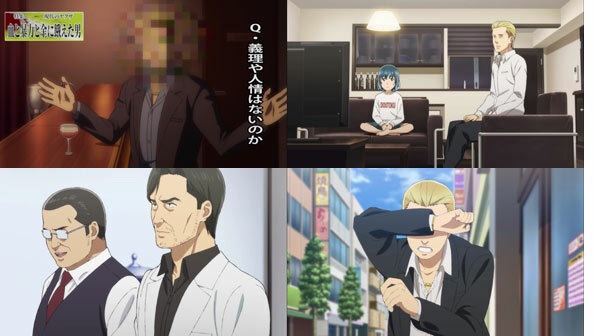 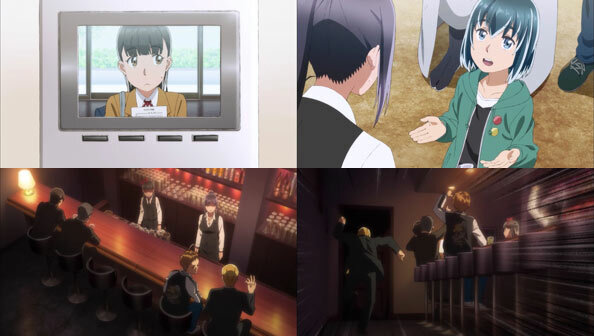 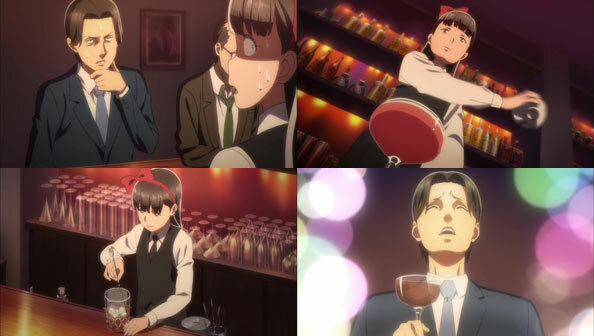 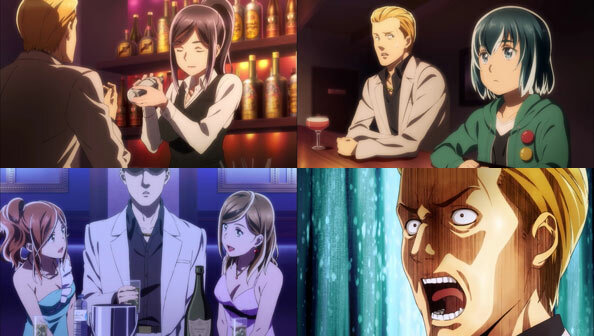 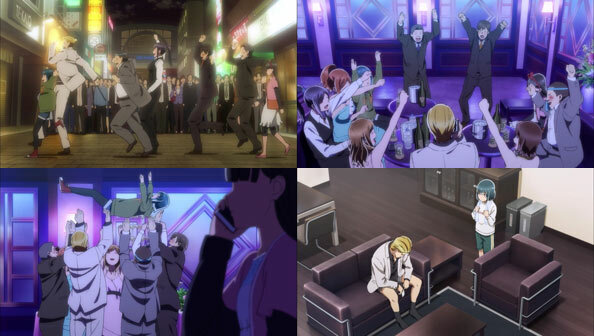 That’s when Hinamatsuri turns into a straight-up martial arts action show, with some of the best animation of the entire series as Mao takes down her ochre-suited opponents one-on-one and all at once. 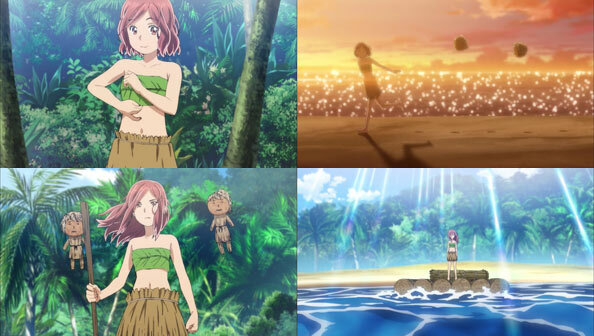 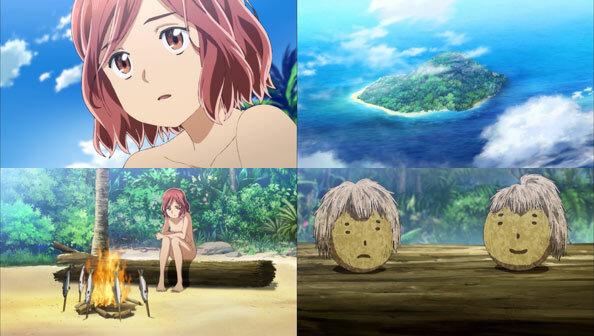 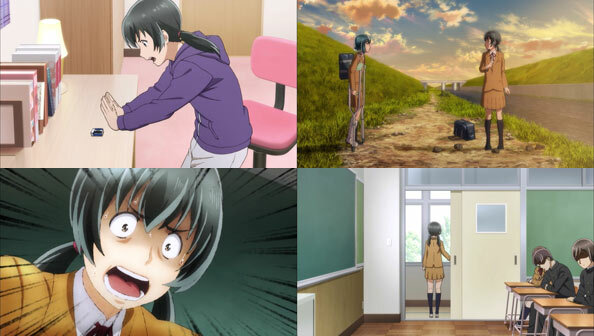 While the latest-introduced and least utilized magic girl, with her Cast Away episode and now this extended segment, Mao has definitely had some pretty awesome adventures that have allowed her to efficiently demonstrate what a badass she is (as if we needed any reminders). 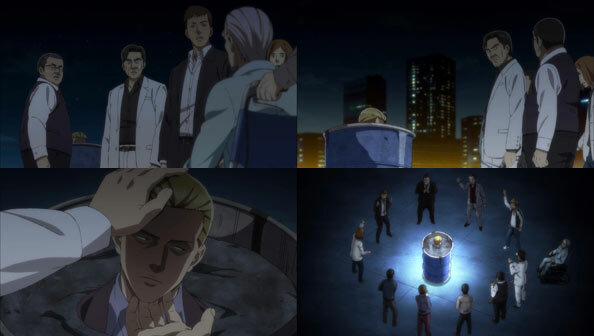 It’s the best fight since Hina took on the whole of the rival yakuza organization. 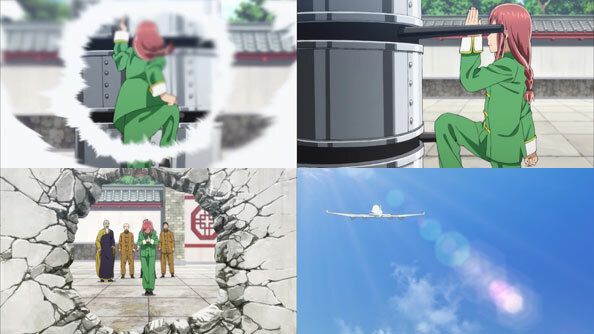 Their master agrees to let Mao go with Rocky to Japan…if she can defeat a “metal man” that’s basically two rapidly spinning shafts no ordinary human could ever stop or even slow down, lest they get pulverized. 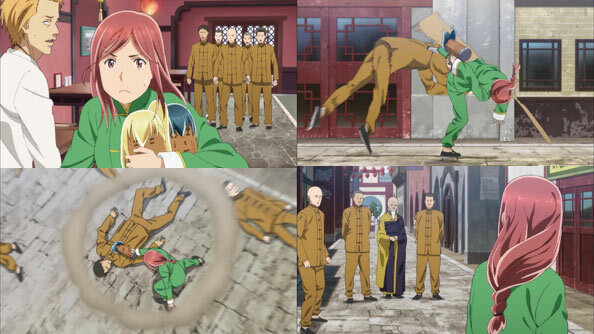 Mao stops the thing dead with her powers, but makes sure to make it look like she used her martial arts to do it, positioning her arm and leg right where she stopped the shafts. 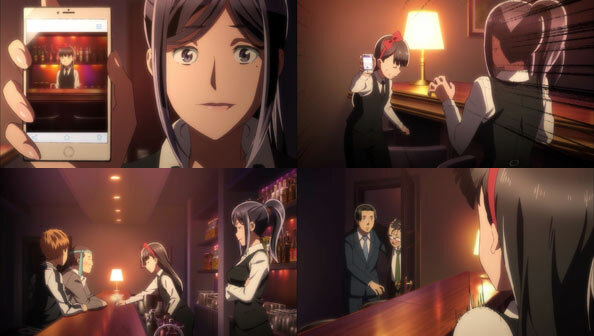 Her handlers buy it, and she and Rocky are off on a plane. 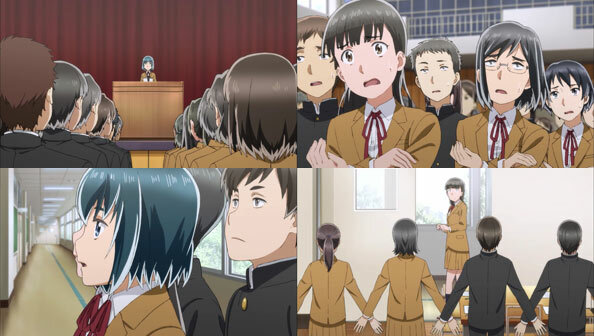 Rocky to help Mao open new branches of the school (another stipulation of her release), and Mao so she can report to Ikuruga about losing the transport balls, and, more importantly, be reunited with her friends Hina and Anzu. 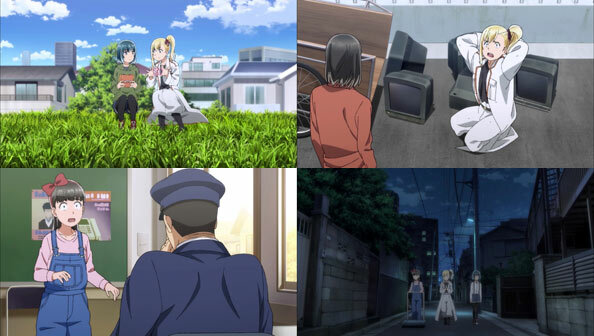 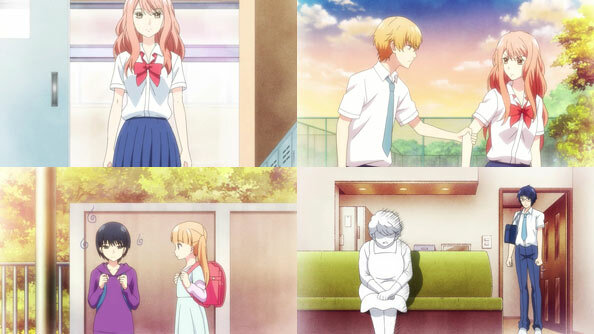 Things end so abruptly that I suspect the adventures of Mao, Hina, Anzu, Hitomi, Nitta, and the others aren’t over. 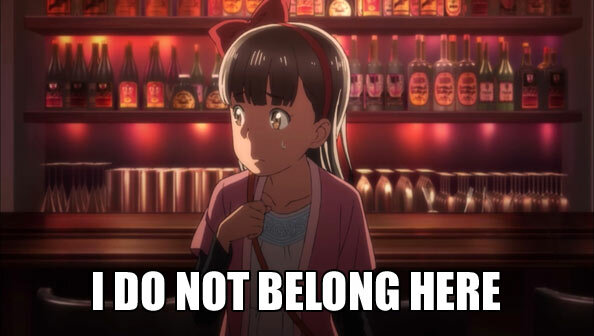 I certainly hope not, anyway. 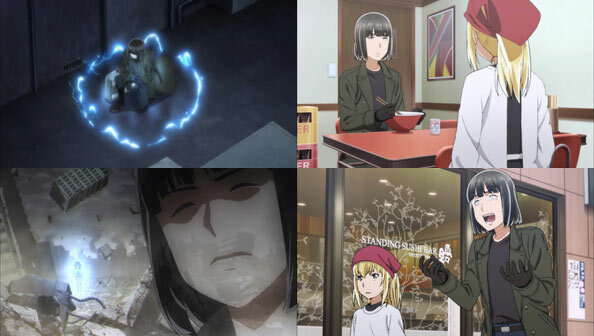 A second season would be most welcome, especially if the show continues to be inventive in how it uses both the girls’ superhuman powers…and their humanity.